Human trafficking and child exploitation are two of the most common crimes which involve unconsented and unpermitted activities done by exploiters. Due to this, State authorities and countries mandate various rules and regulations to be followed by organizations and institutions for them to avoid facing penalties and fees especially if their main audiences and participants are children and minors. 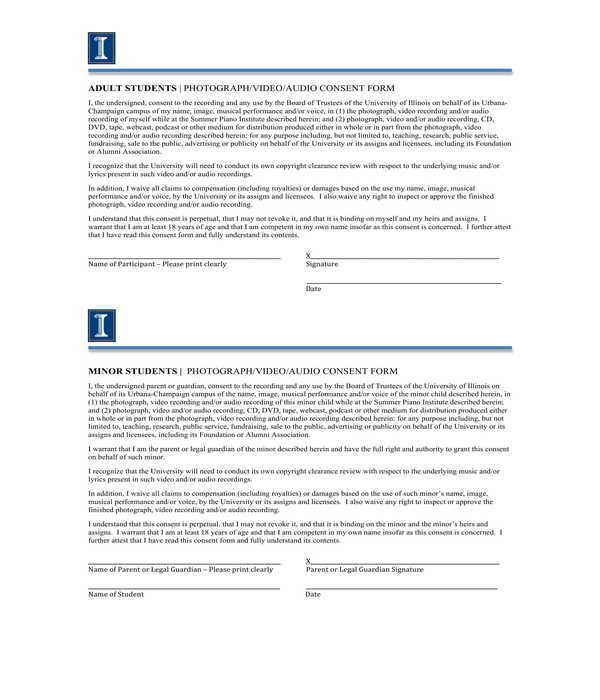 Specifically, a minor photo release form can be used by organizations in order for them to photograph and publish images and videos of minors. 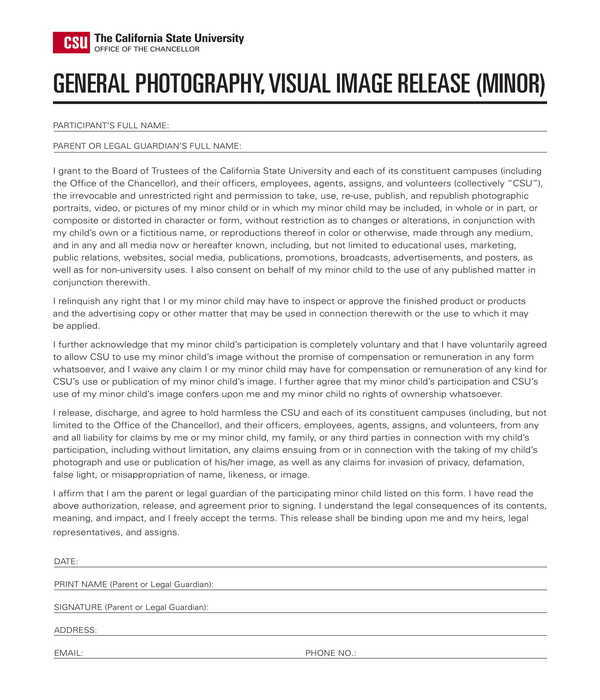 What Is a Minor Photo Release Form? 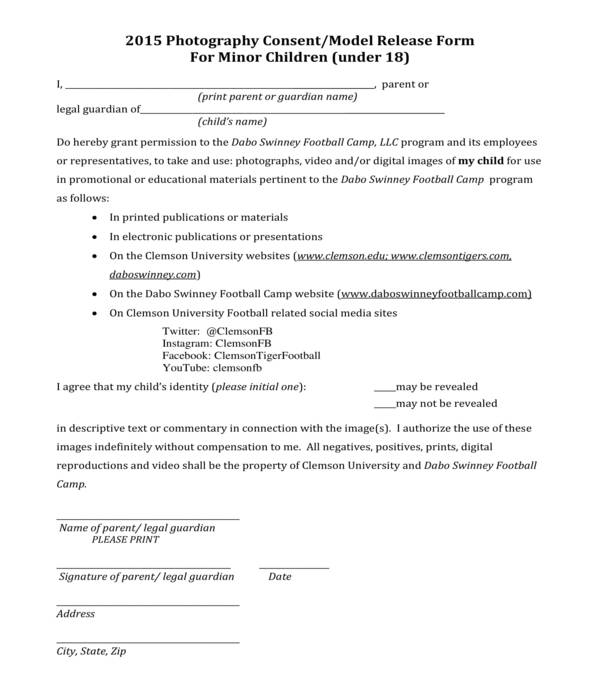 A minor photo release form is a document which should be created and be distributed by a photographer to the parents and legal guardians of the minor child that he will be taking photos and recordings. In the form, the parents can indicate their approval to the photographer’s intent in photographing and in using the images where the minor child is present or can be seen. Moreover, organizations and educational institutions also use this form especially during events and activities where the participants are minors and children. What’s in a Minor Photo Release Form? The parties of the release: The name of the minor, the legal guardian, and the organization or the photographer will be stated in this element of the form. In addition, their contact details and addresses can also be included to allow all involved parties in knowing where they can send notices and documents in lieu of the release and the photos of the minor. A payment clause: Photo releases should be willingly consented or approved by an authorized individual. 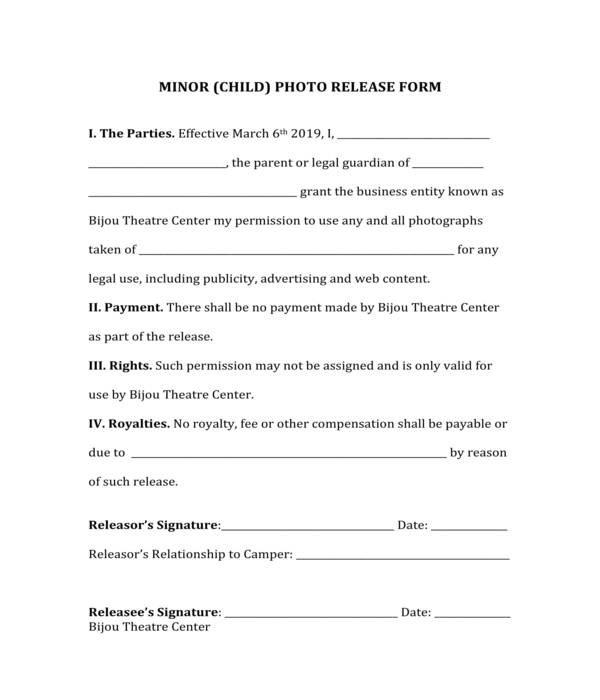 However, if the organization who requested the release will be providing a payment to the legal guardian of the minor in order for them to use and take the photos, then the details of the payment must be defined in the release form. 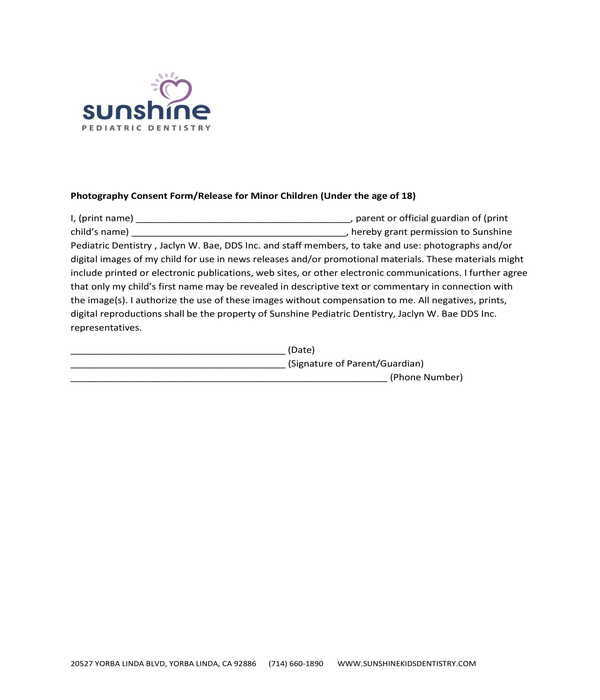 Rights and royalties: This is the portion of the form where the party who is allowed to use the photos will be identified along with the restrictions mandated by the parents or legal guardian of the minor, and the royalty fees to be paid for each photograph. On the other hand, if there are no royalty fees, then a statement which indicates the agreement of the parents and legal guardian for zero royalty payments should be indicated to ensure that future claims relating to photo royalties and fees could not be made. 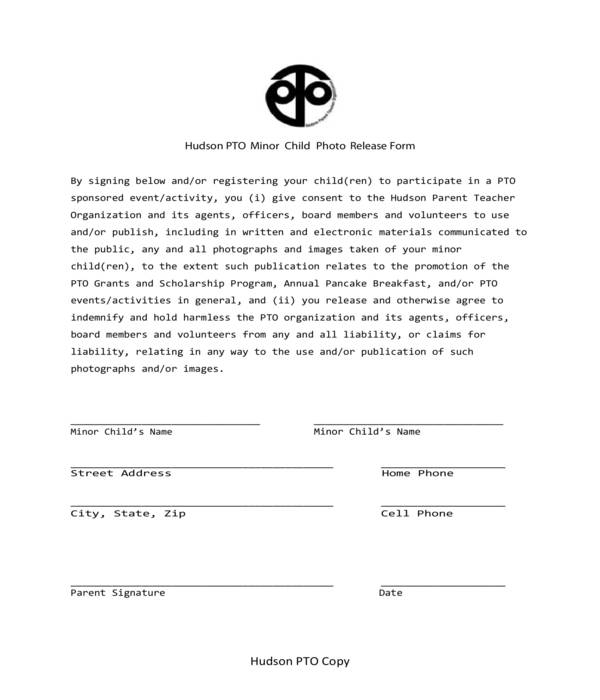 Signatures of the parties: The names and the signatures of the legal guardian and the representative of the organization, or the photographer himself should be collected in this section of the form. Additionally, the date when the form was signed and when it was submitted to the organization can also be stated. 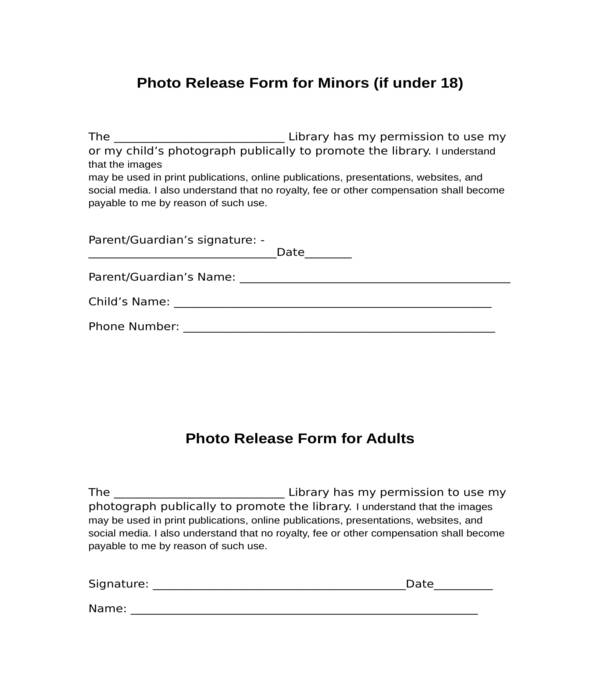 Adult and Minor Student Photo Media Release Form – This form is suitable to be used for obtaining a release for both minor and adult students in an educational institution. The form contains two separate sections wherein one section should only be signed by each participant or student. The first section is intended for the adult students while the second section is for the minor students. Completing the first section of the form will only require the adult student to fill in his name, the date when he used the form, and his signature while completing the other section requires the minor student to have his parent fill out the signature area. 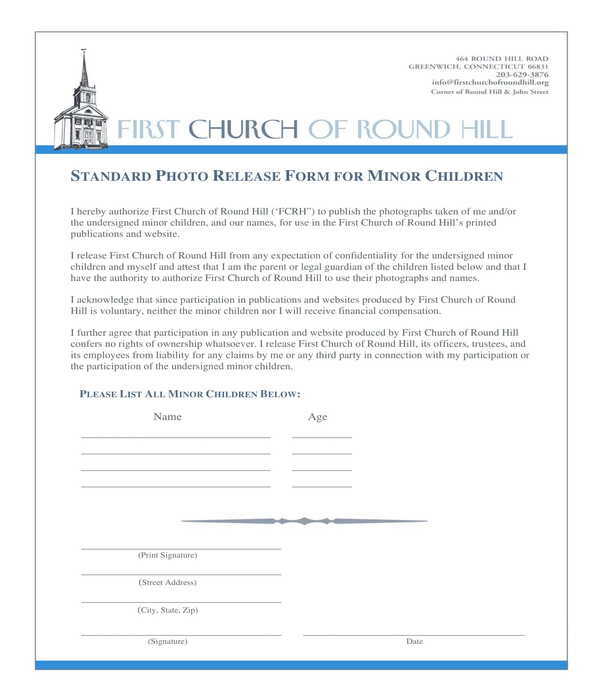 Church Minor Children Photo and Video Release Form – In a church, tons of activities are conducted to engage the members. During these activities, it is essential that photos and videos are taken to be used for promoting the church to the society as well as for making memorabilia and other souvenirs or keepsakes. However, since churches are mostly composed of families where children and minor individuals are present, the church and ministry leaders must ensure that they obtain the permission of the minor’s parents first before any recordings will be made and will be used. 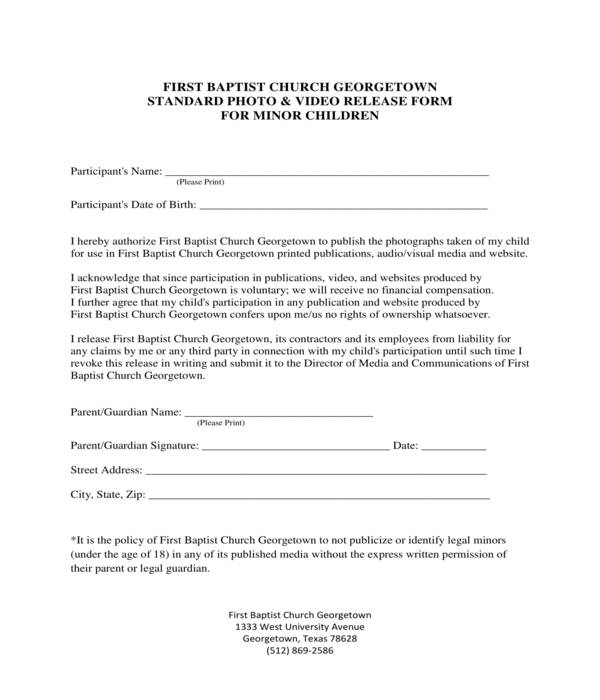 For this, a church minor children photo and video release form is the preferred document to use. The data to be incorporated into the form would include the minor’s name, date of birth, and address along with his parent’s name and signature. Minor Model Photography Consent Release Form – This release form not only centers on acquiring the release consent of the parent in lieu of the child’s photos but also in the participation of the minor child to be the model of the organization wherein his identity will be revealed in the publications. However, if the parent prefers to not have his child’s identity or name revealed in the final outputs of the organization, then he must mark his option or state his decision in the form to inform the organization about the necessity of keeping his child’s name and particulars confidential or private. Minor Photo ID Release Waiver Form – Identification cards with photographs are more effective instruments to prove one’s identity. 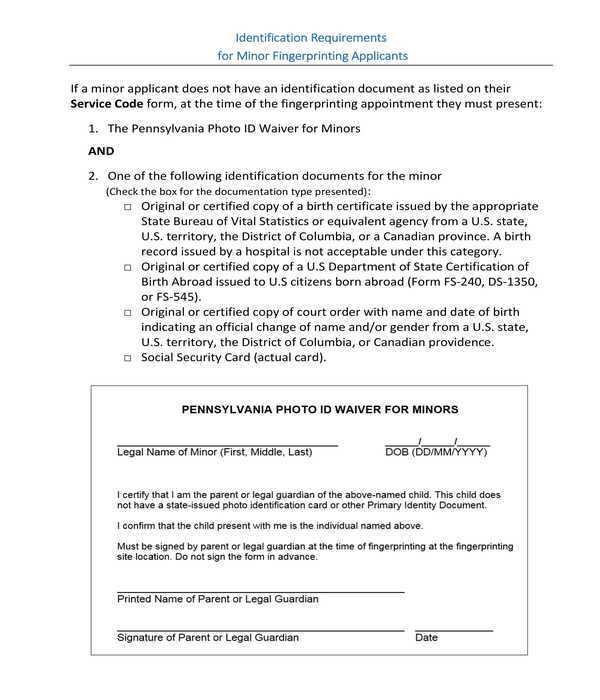 For this, a minor photo ID release waiver form should be signed by a parent or legal guardian who will be consenting an organization to take and use the photograph of a minor in order to make an ID entry or card. The form also contains a certification and affirmation statement to be agreed and signed by the legal guardian during the fingerprinting procedure of the minor. Why Are Minor Photo Release Forms Important? 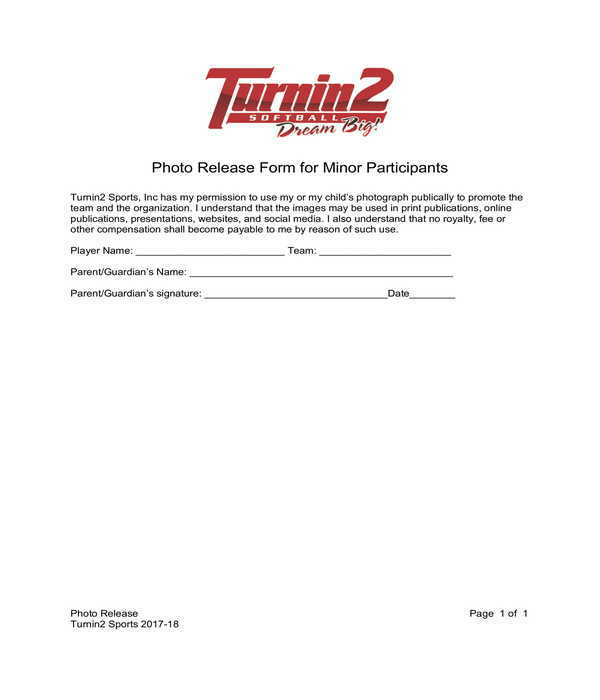 Minor photo release forms are important due to its role in informing the parents and the legal guardian of the minor about the activities that the minor will be participating in, and the intention of the event organizers or organization in recording and photographing the minor. With the form, the organization will be protected from any sort of claims in lieu of unauthorized distribution and usage of photos and videos. Moreover, the form will also allow the parents to address their concerns about the photos to be used and to be published, specifically with regards to the privacy of the minor child.